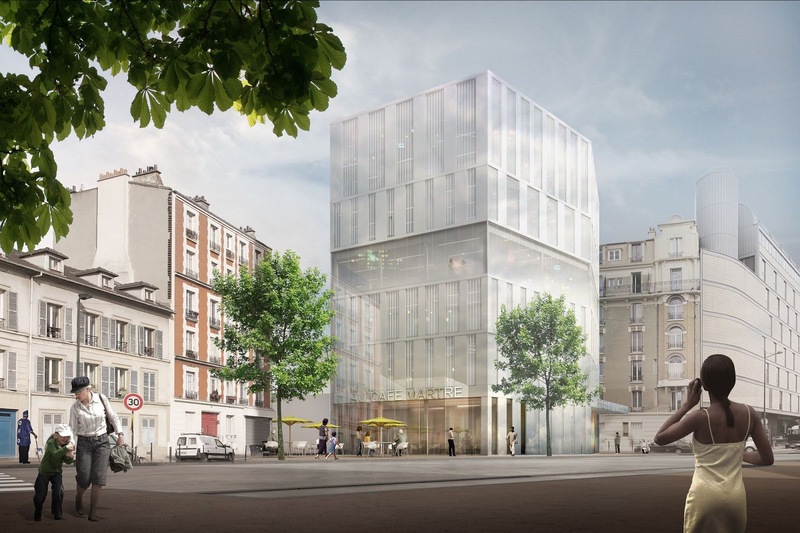 The new building settles into a heterogenous urban landscape where architecture ranging from single- to eight-storey buildings stand side by side at the entrance to the town of Clichy juste behind the Parisian ring-road. 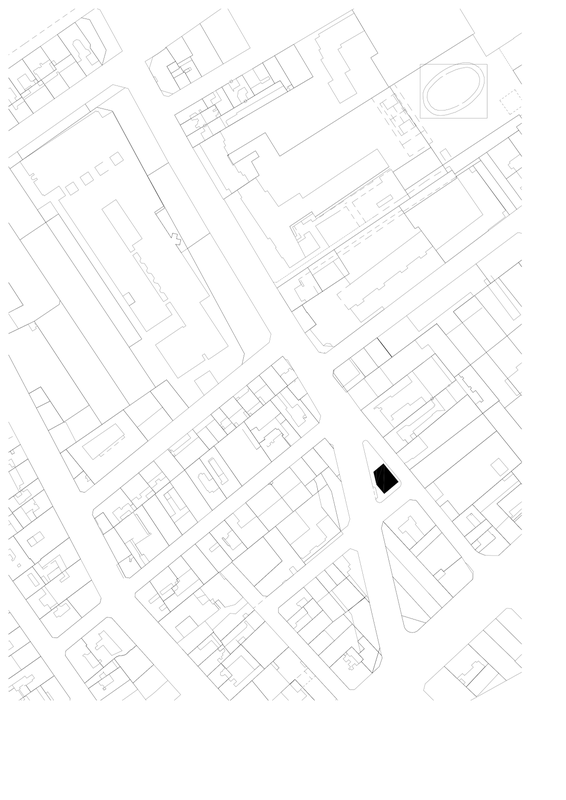 By optimising urban rules and techniques, we have been able to design a building with 5 storeys plus attic. The main body of the building complements the neighbouring buildings while respecting the regulations concerning distances. The overall volumetry, the organisation of functions and the outer layer represent the three main design features of our project. We have opted for a pragmatic organisation based on worklife quality and public accessibility. 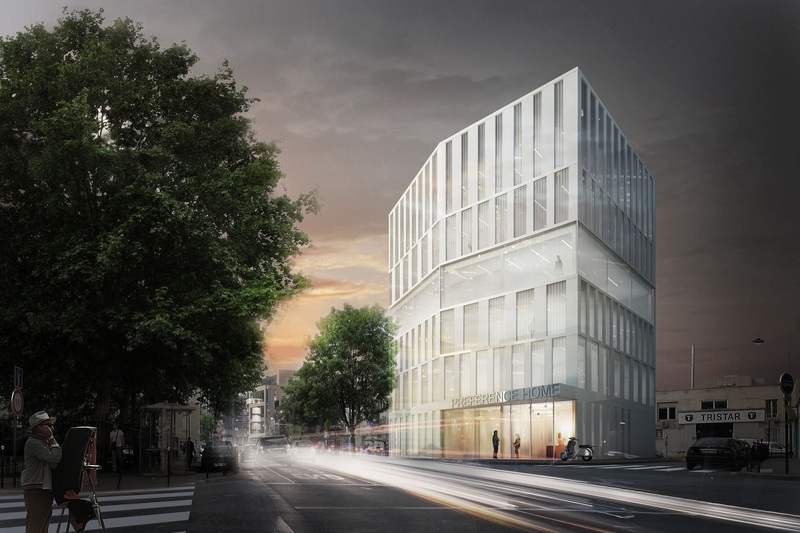 The building is a landmark in harmony with its surroundings which helps create a continuity of architectural quality with the futures Parisian district of Clichy-Batignolles. The third storey is treated differently to the others, with a screen-printed window which goes from opalescent to transparent, reinforcing the sense of lightness and a principle of verticality. 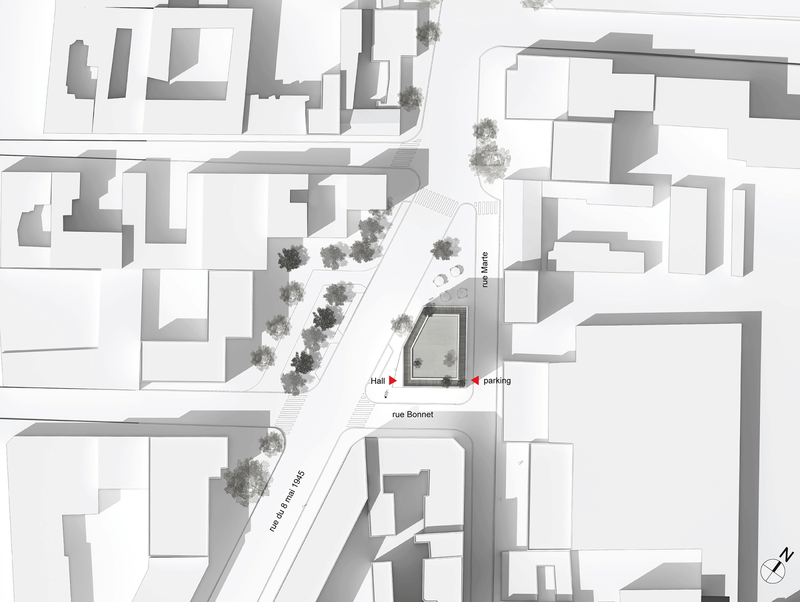 This gesture gives a dynamism to the volume and announces clearly the presence of the building in the town. 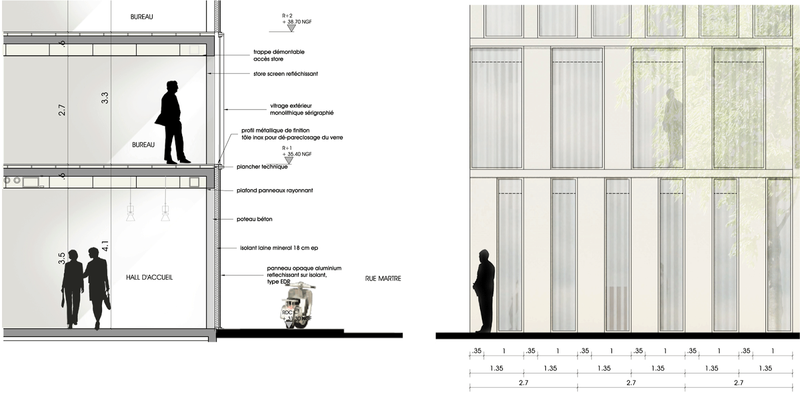 It will be possible to partition the surfaces based on a frame of 1.35m which corresponds to the elements of the facade. The construction system of the different facades is adapted to the structural, acoustic and thermal constraints particular to each one. Given the situation of the plot, all the building's facades are considered as main facades, each one being designed specifically, according to its orientation and immediate surroundings, with a varying level of opaqueness (by altering the frame) or of screen-printing. Covered in aluminium cladding and windows (clear and translucent), the facades offer a sense of weightlessness by allowing the light to play with the different orientations. 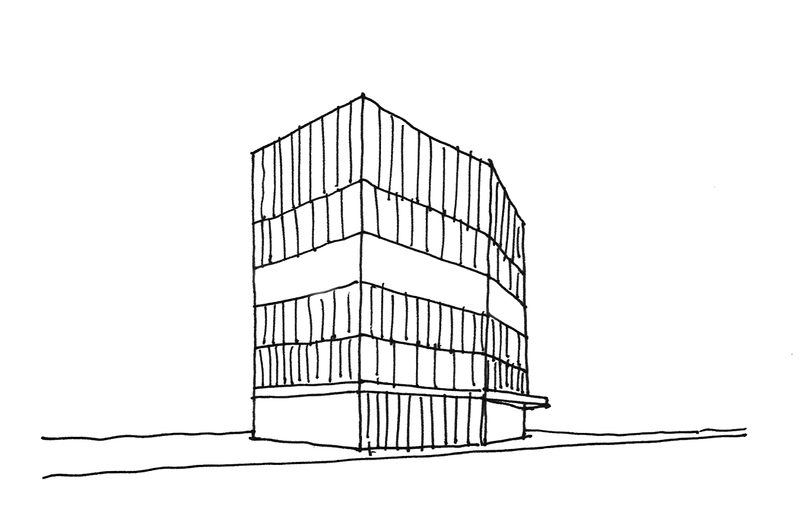 This produces a building that works on both a human and an urban scale, at once convivial, modern and at times playful. The facades of the upper storeys are designed around a frame of 1.35m and a regularly alternating system of solid and hollow (51% of the windows). The organisation of the changes to the frame of the facade will be perfected during the study phase according to the findings of the sunlight analysis.